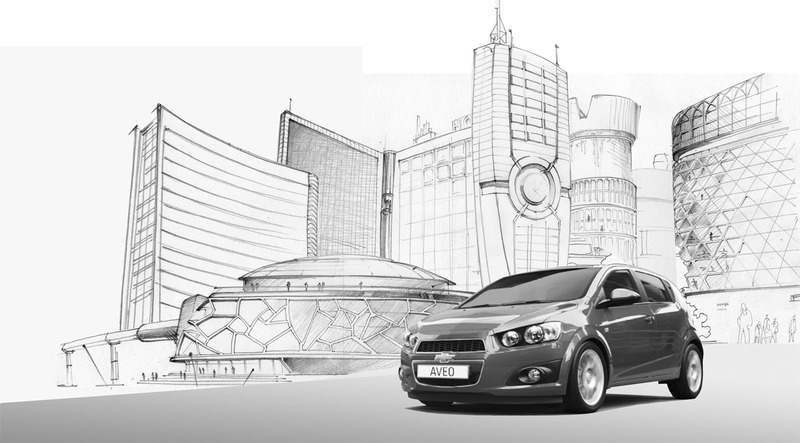 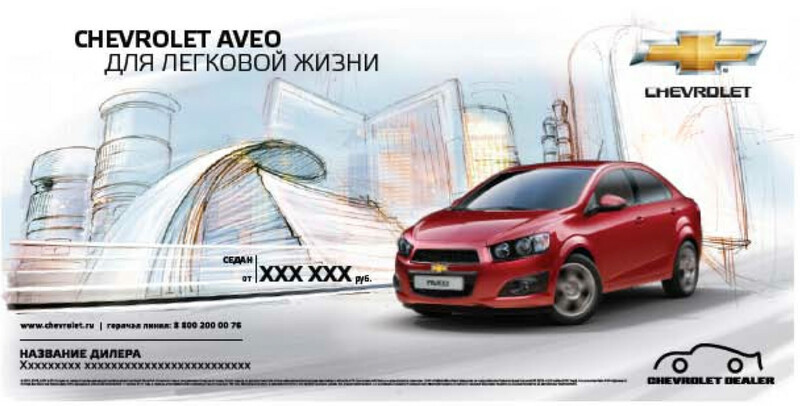 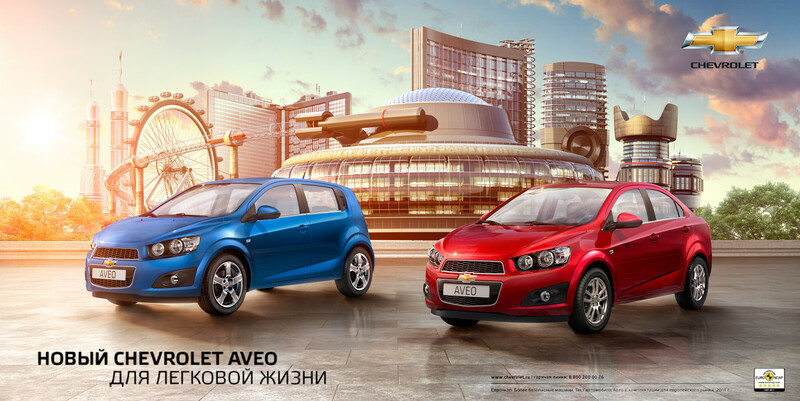 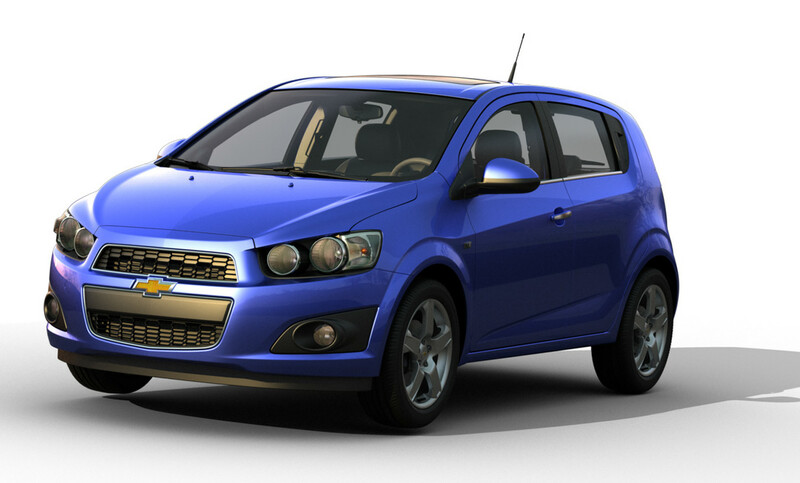 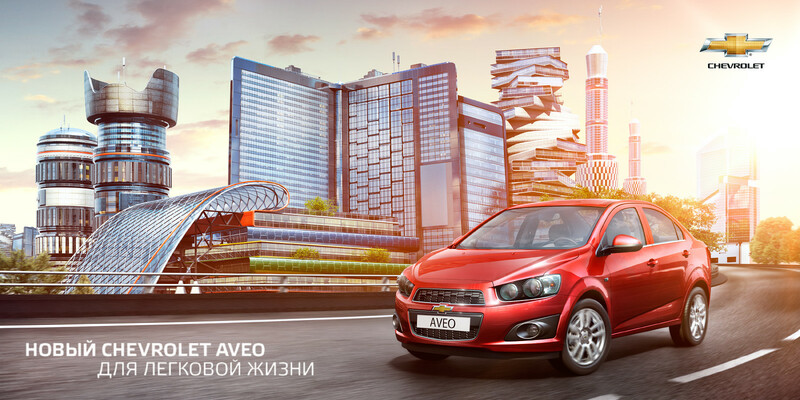 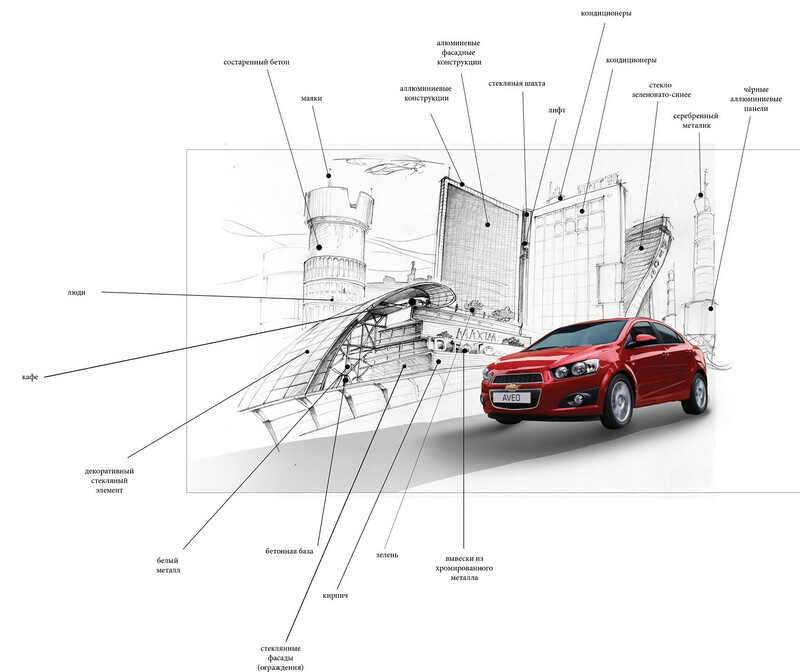 Project for Chevrolet division of General Motors Corporation brand new Aveo. 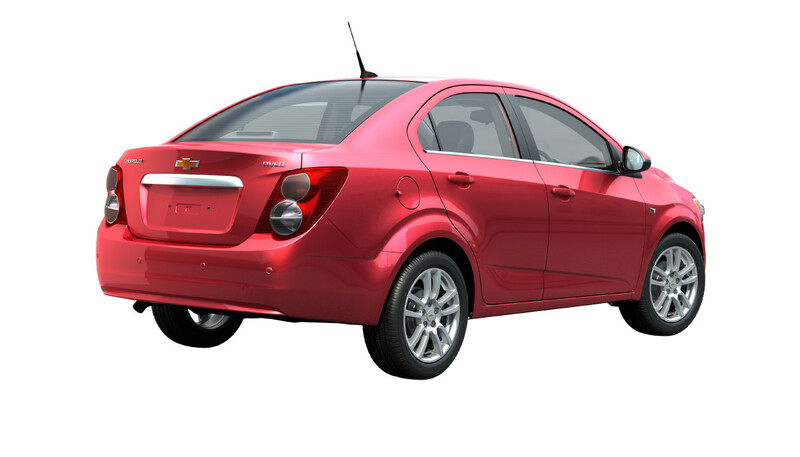 Positive Pictures Ltd had finished a great project for Chevrolet division of General Motors Corporation brand new Aveo. 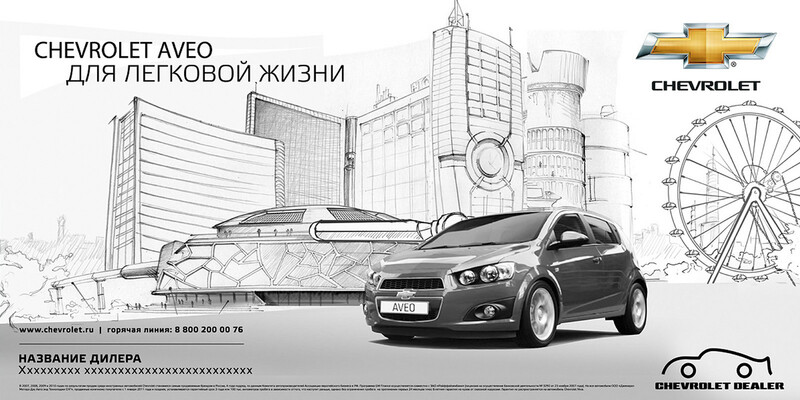 The ideas were from the agency Grey Moscow. 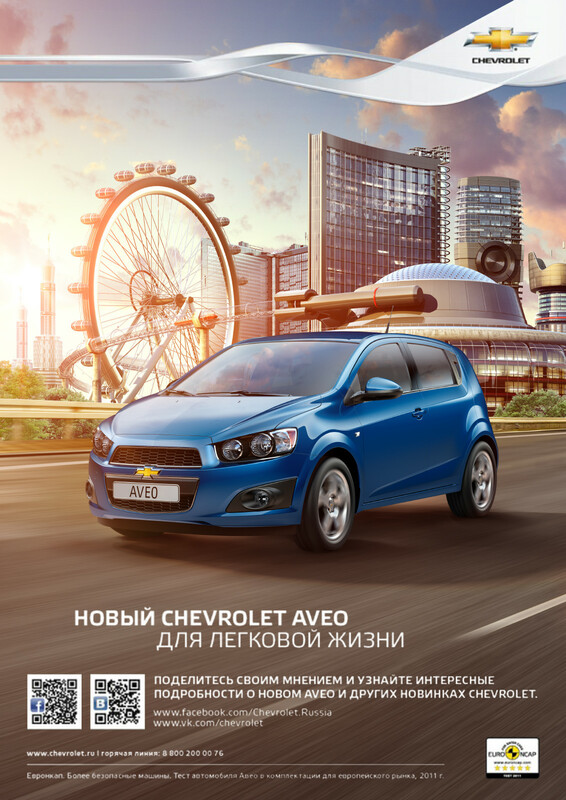 Production control was by Ekaterina Strukova from the representative of Positive Pictures in Russian Federation Filmservice Moscow. 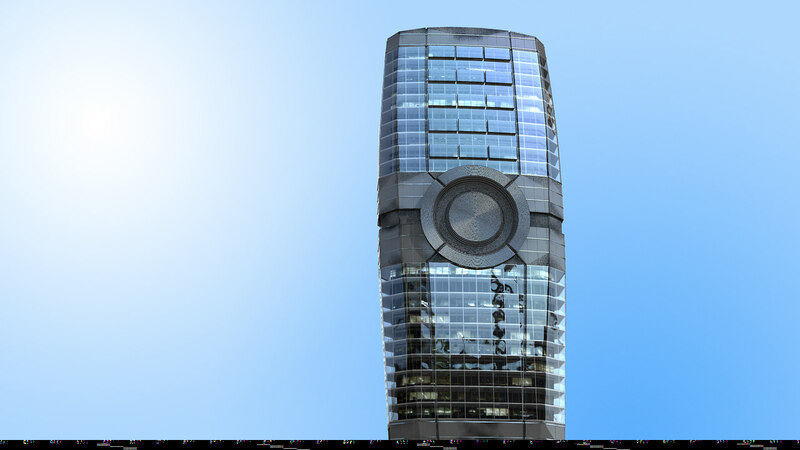 The main thing was to create real buildings which should look like well known objects like photo lens, lap-top, phone etc. 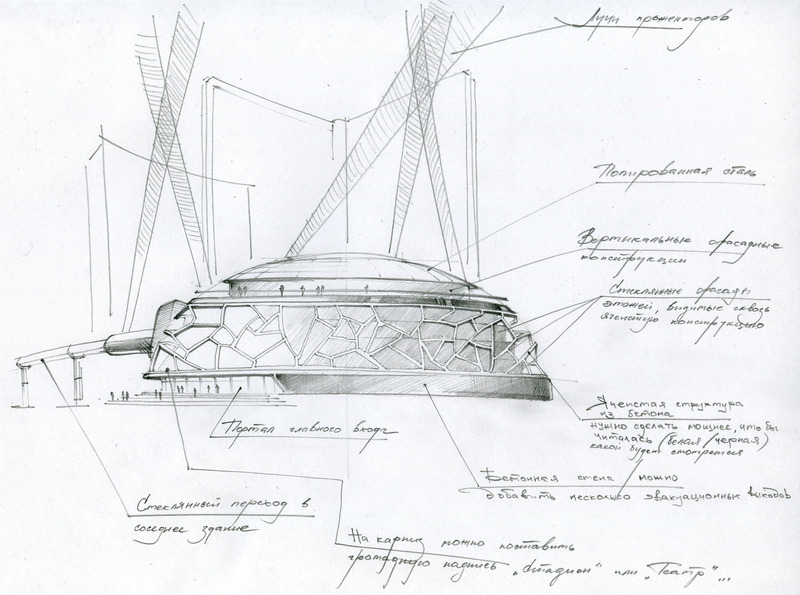 For this task we invited well-known ukrainian architect Oleksii Breus. 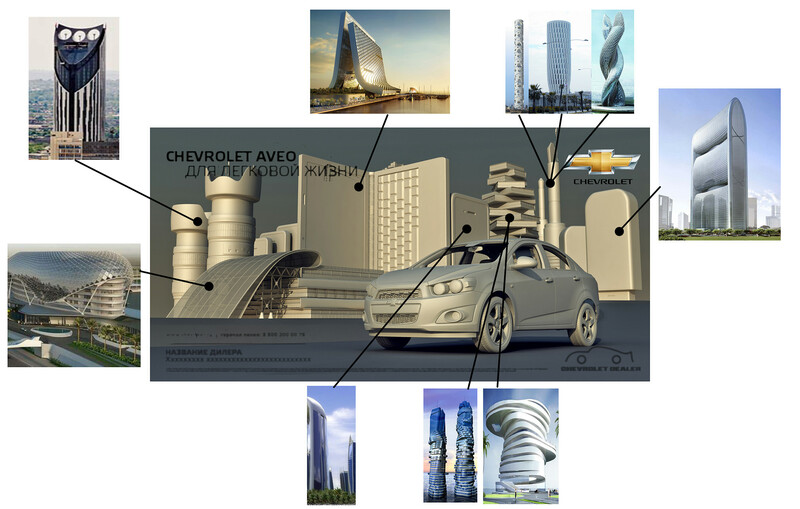 He created drafts of buildings which can be build in the real life. 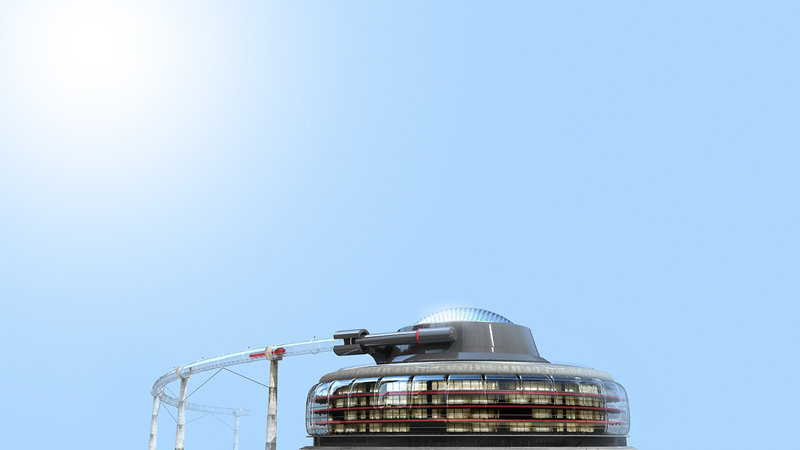 Next step was to model the buildings on the base of the architect drafts. 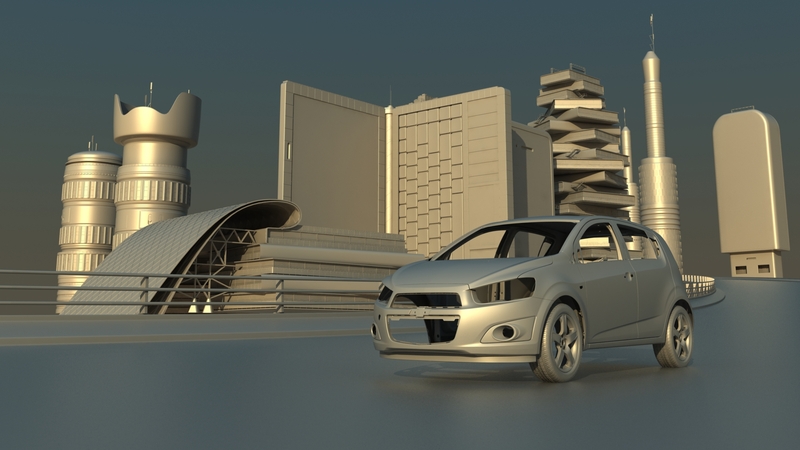 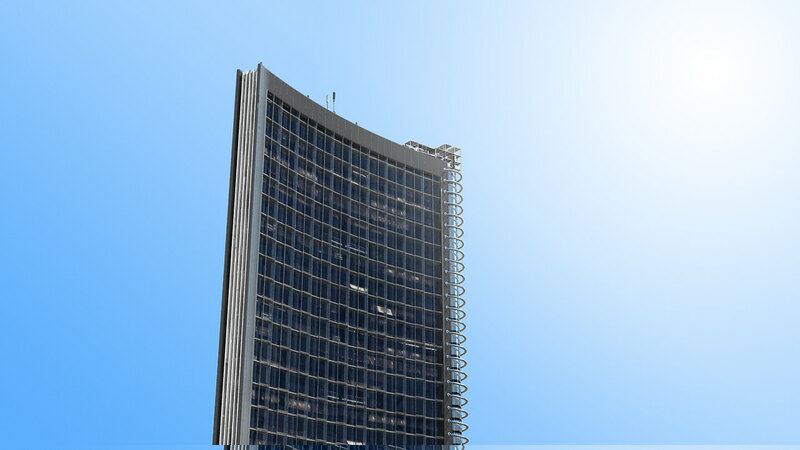 Each building was modeled and rendered separately. 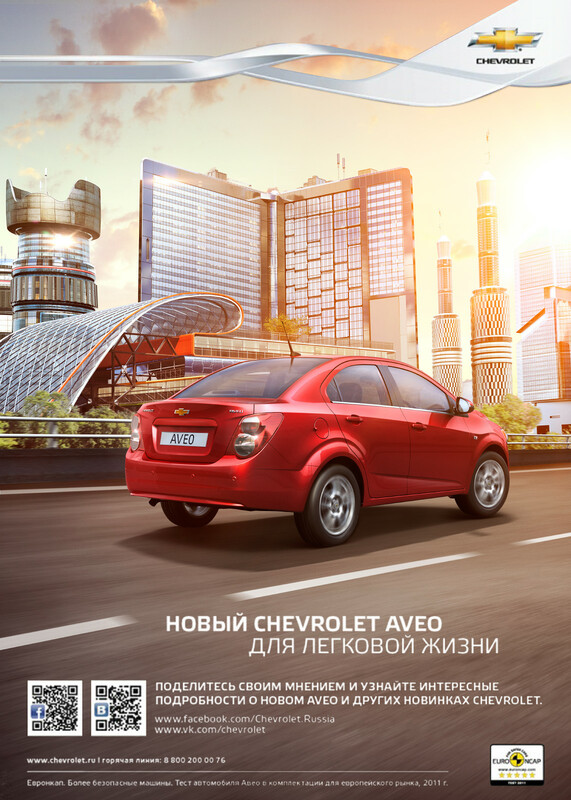 After that Positive Pictures designers combined the images into the final images.